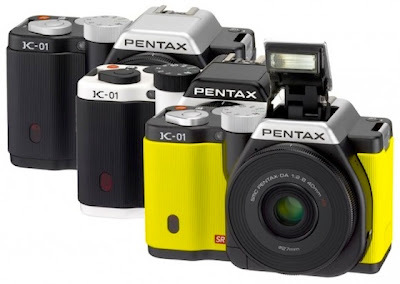 Pentax today announced new Pentax K-01 mirrorless interchangeable lens camera designed by Marc Newson, who is widely known for designing a wide range of objects from furniture and household products to bicycles, cars, aircraft and yachts. A recent report from Strategy Analytics noted “Android captured a record 39 percent share of global tablet shipments in Q4 2011, rising from 29 percent a year earlier. 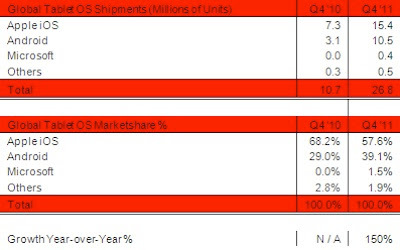 Global Android tablet shipments tripled annually to 10.5 million units.” However, that 10.5 million number was reached by adding Amazon’s newly released Kindle Fire, which in our opinion is not an Android tablet.